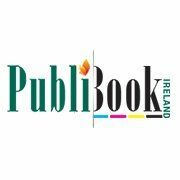 PubliBook Irelandis an Irish independent publisher providing no-fee contracts and services to authors and corporate clients. Based in Kells, County Meath, the company has recently entered the growing publishing service market in Ireland. The company was established by Bill Sweeney—who has a background in production and educational management and local government—and Gilbert Dawed, a creative director in design, marketing and sales in the areas of publishing and new technology. Dawed has previously carried out work for another Irish publishing service, The Book Producers. 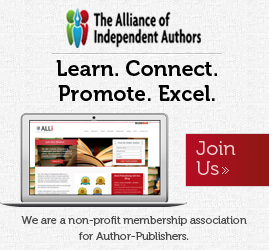 “We bring the same dedication, professionalism, imagination and energy to publishing your book that you brought to writing it. PubliBook Ireland’s website is smooth, crisp and appeasing for visitors looking into using the company’s services and there are links to some of the staff as well as an FAQ section for general questions. The appearance is reasonably corporate and the company has established a small social media presence on the main networks—Facebook, Twitter and Google. 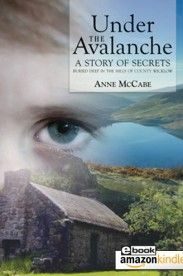 PubliBook support an online bookstore of their own called publishedinireland.com, though, it is early days, and the store features four titles as of October 2012, including the latest work by Irish writer and TV director, Anne McCabe. Paperback prices range from €12-15, with e-books ranging €7.50-9. I’ll mention the pricing now because, apart from the cost of publishing packages, PubliBook do not disclose online a breakdown of royalties to the author or specific print costs. “PubliBook Ireland will immediately put the book for sale on our online bookstore Published In Ireland (www.publishedinireland.com) which is a showcase for books published in Ireland and regularly receives hits from across the globe. 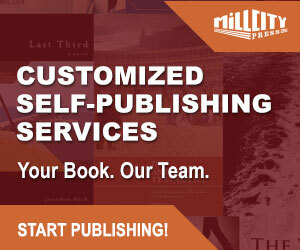 Of course, what this really reveals is that PubliBook not only has no formal publishing distributor in place for authors availing of the self-publishing packages, but no trade distribution deal for its no-fee contracted authors beyond the standard array of online retailers and the company’s bookstore. I don’t point this out to knock PubliBook about what is on offer, because this arrangement may suit some independent authors, but it is important to underline that this is not full-scale commercial or traditional publishing by any means. “How do I get my book printed? “Can I get reprints of my book? Yes. We reprint using the same files and material that were used in the first print of your publication, so a second print run will be of exactly the same quality as the first print run. If you want to update the book we can make amendments as required. I would suggest PubliBook seriously look at altering the reference of ‘per 100 copies’ alluded to on the publishing package graphic or they may wrongly find authors running for the hills in the belief that they will have to pay between €1350 and €2750 every time they order a print run of one hundred books. Prices on all packages are quoted on a maximum of 220 pages. There are some pretty critical elements to the basic publication of a book missing from this package, like legal book deposit, proofreading, no cover design concept will be provided (that’s up to the author), ISBN and EAN allocation, no bookwove grade paper (cream, FSC etc), no orders will be taken from the book trade, and, needless to say, no marketing by PubliBook. I should also mention that delivery of an author’s one hundred books is also an optional extra. Frankly, I’ve never heard of an author’s delivery of their first print run of books described by the publishing service as an ‘Optional Extra’. I suppose this is a case of ‘we’ve printed your books now come and get them!’ At a cost of €1350—frankly—this package is shockingly poor. I have to keep reminding myself the cost is in Euro—the dollar and sterling equivalent would be $1750/£1100. One hundred books, digitally printed, through Lightning Source UK, would cost approximately £300, or about €370/$480. A high quality full colour Press Release featuring the cover image of your book. This is provided to the author and is also distributed to selected media sources. The Pro package is at least practical—if expensive—for a self-published author, but I am beginning to suspect that PubliBooks has spent far too much time pricing publishing packages (maybe using freelance designers) on the two most well-known self-publishing services in Ireland—Choice Publishing and Original Writing—rather than looking at their real offshore competitors. Even the Standard Marketing package is pretty limited and I’m concerned that the social media presence PubliBook has at the moment simply is not up to the task of launching and sustaining a book release. Advice on dealing with the media in promoting your book. Assistance in organising a Book Launch which is a valuable tool in initially promoting your book. Web & Social. As in printing the social media revolution has changed the way we disseminate information. PubliBook Ireland advises the author on how to create an online presence through the whole raft of social media interactions including Twitter and Facebook. The Premium package is a vast improvement, and it at least hits all the critical elements for a self-published author, but it is extraordinarily overpriced and readers of TIPM will be aware that many self-publishing services provide all of this at half the price. Bear in mind, the author has had to pay €2750 to secure a package with basic proofreading—not editing—and an e-book version. The Pro package does allow some of what is available in the Premium package to be added on as additional options, but even a hardback version is an ‘optional extra’ with the Premium. “What are ISBN and legal deposits? ISBN an [sic] legal deposits are a very important part of the technical part of publishing your book and we at PubliBook Ireland take care of both for you. ISBN (International Standard Book Number) is a unique tracking number which working with a barcode identifies your book. It is essential if you want to sell your book through bookshops or online stores. Legal deposits are how you secure your copyright so that nobody else can use your work without your written permission. 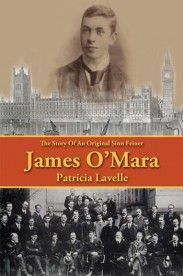 Nine copies of your book are lodged in leading libraries (Trinity College, National Library of Ireland, British Library, etc). I strongly believe whoever wrote the above statements either don’t know the difference between book rights and copyright or are confused by it, and that is disturbing coming from a publisher’s website. Perhaps the authors of the above are not aware of the Berne Convention, and that any author residing in a country signed up to it, automatically own the copyright to their work of creation the moment it is written. Though the National Libraries of Ireland and England house the copyright office, legal deposit is a one aspect and mechanism of publication and public record, legally required, only when a creative work is published. Victoria Strauss explains the difference between book rights and copyright eloquently here. Self-published authors can avail of e-book only publication with PubliBooks and details of costs can be found here. It costs €275 per format, ePub or Mobi, or €330 combined. This pertains only to files submitted to PubliBook for formatting—with optional charges incurred if the author submits his/her own file (PDF ready). Bookstore hosting and distribution is included in the e-book package price. Overall, PubliBook on the surface look promising, but once an author starts to drill down into the detail, it becomes clear that the packages are grossly overpriced and critical aspects of the self-publishing process are missing from the Starter and Pro packages. PubliBook present the company as an independent publisher, yet, there is no distribution beyond online retail databases and listing in the Publish in Ireland store. This may be sufficient for some self-published authors, but not for an established author looking for a trade presence. 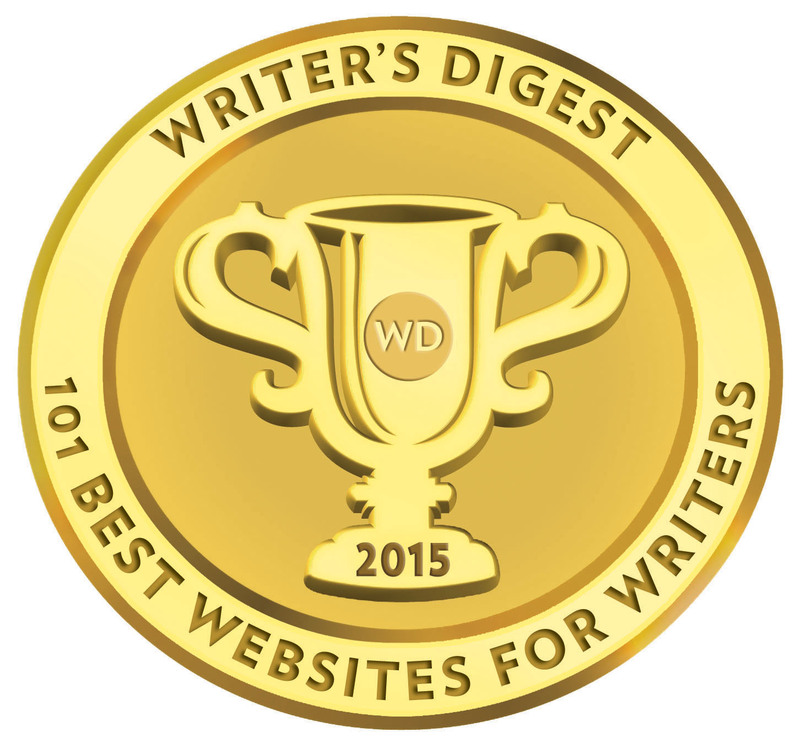 1.The copy-editor’s task is to fine-tune a writer’s prose so that it observes all the conventions of good writing. The copy-editor makes sure the manuscript’s syntax is smooth, that the writing adheres to the conventions of grammar and that wording is precise and punctuation is correct. The copy editor may also suggest some reorganizing, recommend changes to chapter titles/subheadings and point out lapses in logic or sequential slip-ups. Editing means a lot more than described above—there is no mention of content or structural editing, and, frankly, even if it is a part of what PubliBook offer, I’m not sure I would want to avail of it. I appreciate the company still has to put in place some final touches, but it remains full of garbled statements, typos and grammatical errors. I just hope the same proofreaders won’t be let loose on the books submitted to PubliBook. Grammar is also important, because a clear and concise sentence is sometimes better than a thousand words. PubliBook need to seriously rethink strategy (independent publisher or service provider), the high cost of its packages, greatly improve its own social media presence before offering expertise, look far more carefully at competitors (in Ireland and the UK), and only then will it be ready to take its place in the self-publishing service market and provide a real option for authors. Clearly, the company has a strong design, print, technology and management background, and as much as experience with Internet companies can help with marketing—I remain unconvinced of PubliBook’s publishing knowhow. If it is there, it is certainly not shining through. I want to publish my manuscript titled”Amendments of State Constitution:An African Plague”. I had published four books in the IS,Germany and two in France. My email address is oarrey@yahoo.com. I am waiting for your prompt response on how I have to publish with Publibook.